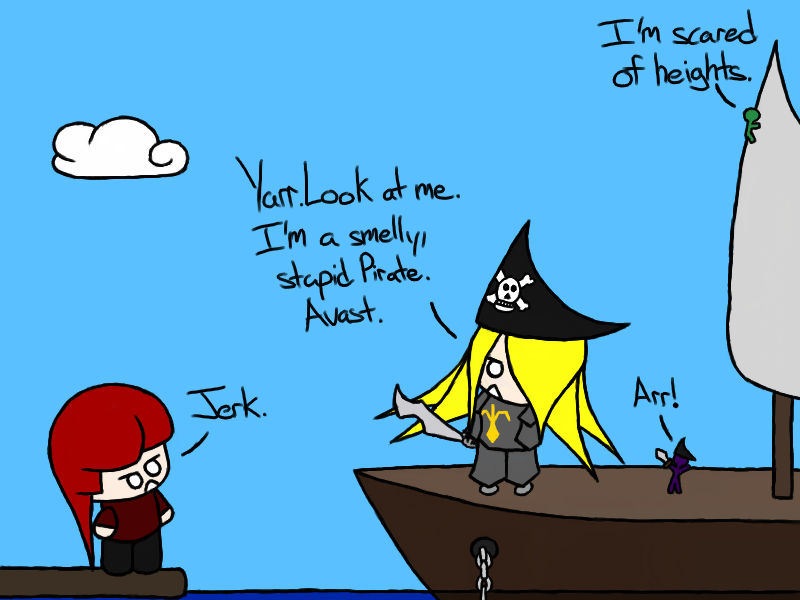 If Pirate’s adventures were a videogame…it would be so cool. 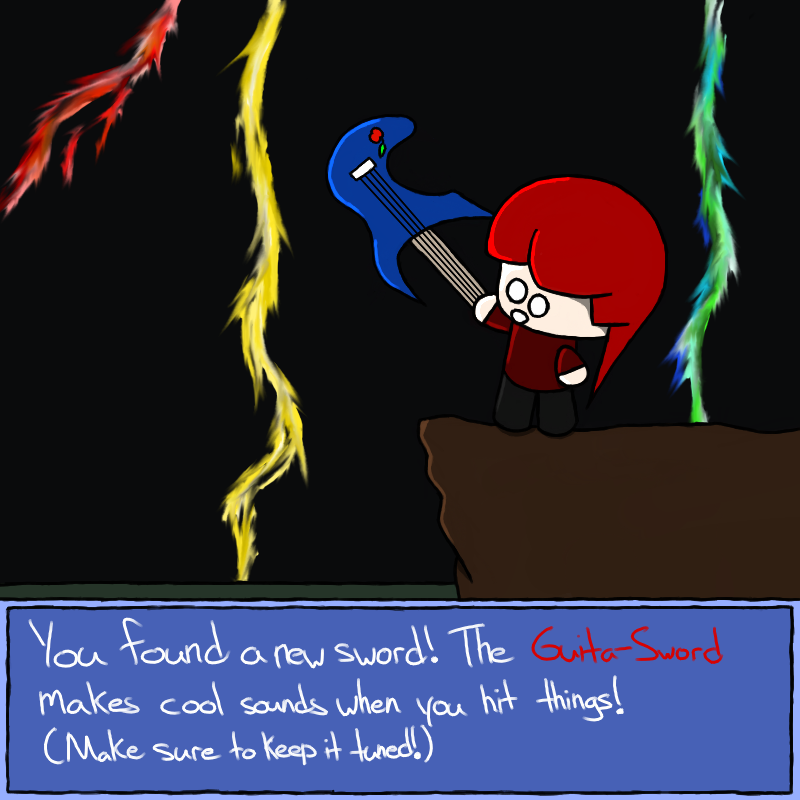 She’d have all kinds of different swords, like the guita-sword — a musical travesty and effective weapon of war! Also, drawing lightning is really hard. Everything’s a sword if you use it right! 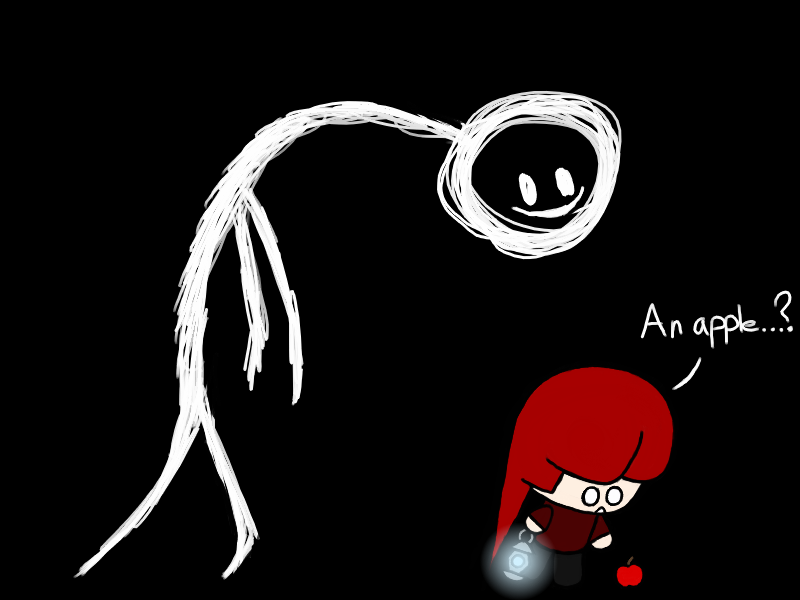 Stick people are pretty nice. They’re sort of annoying, but generally good people. This thing…is some kind of nightmare stick-creature from the inner parts of my head. Good times. Thankfully not based on a true story. Nothing’s worse than having a problem no one can fix. Especially if you’re paying them to do it. 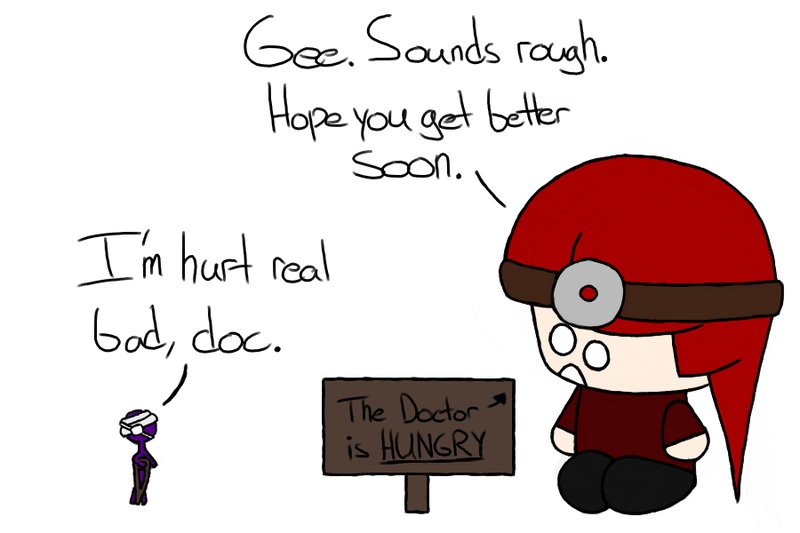 But then, if you’re going to Pirate for medical help, you’re probably too late to help in any case. Who gave her a license to practice medicine!? I remember learning how to draw a five-pointed star. Now I think they look sort of weird. Funny how things change like that. So unrealistic. You’d think this was a children’s cartoon or something. Imitation is the sincerest form of flattery unless you’re going to be a jerk about it. *Stereotypes portrayed above do not reflect the true character of pirates or Pirate in general. Some days aren’t bad days. 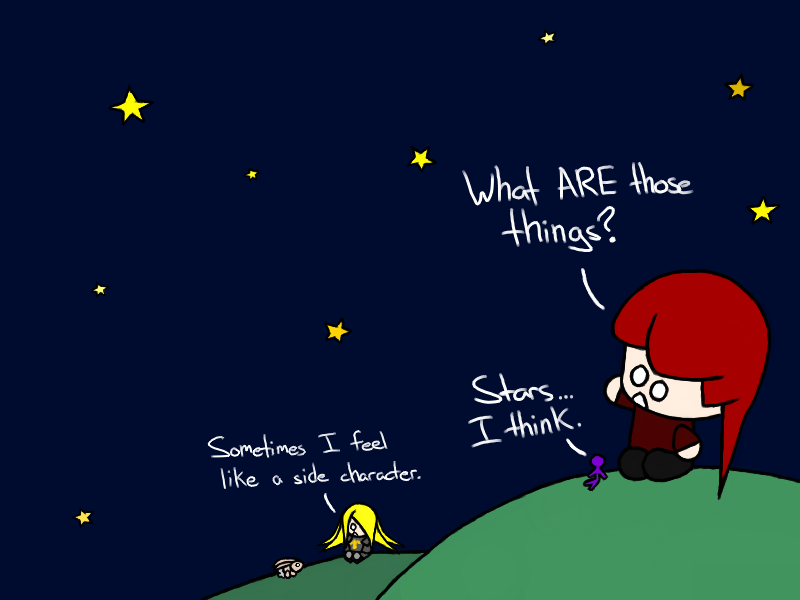 For once, Pirate isn’t fighting monsters, running from UFO’s or pondering the mysteries of the universe. She’d better enjoy it while it lasts. An apple is all you need for a wonderful day. Remember the good old days? I don’t. But I do know that once, flashlights didn’t exist. I don’t personally remember that of course, but I imagine people back then never experienced the agony of a flashlight beam right through the eyes. Change is painful. 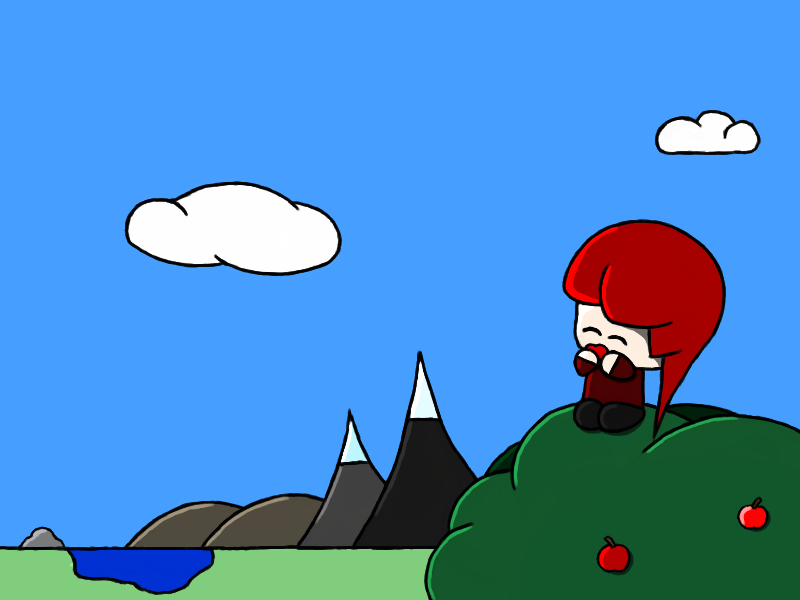 Sometimes it’s nice to take a break and relax for a while. Still, when you think about it Pirate’s friends all seem to have a troubled history. Pirate fought Knight, the stick-people and Pirate went to war, and Pirate used to chase rabbit. 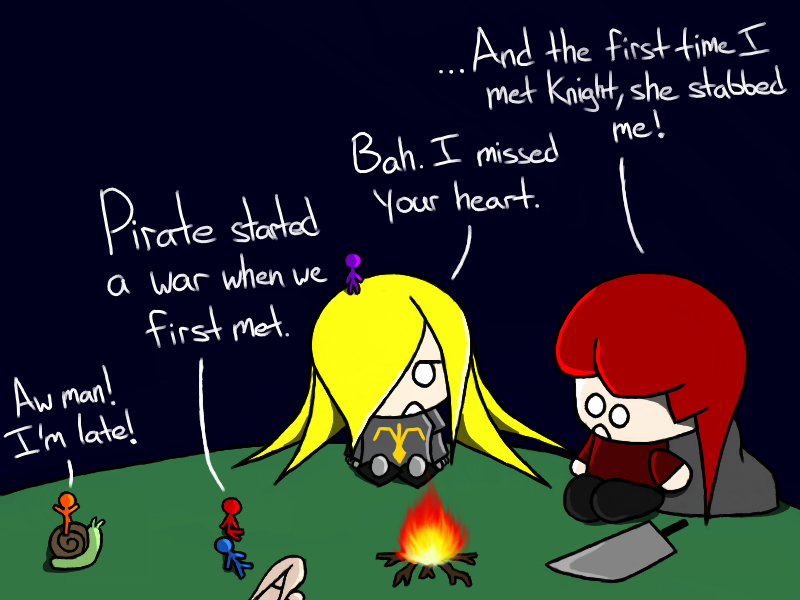 Strife does bring people together. There’s some bad memories here. Another mythological monster I don’t think exists in real world. 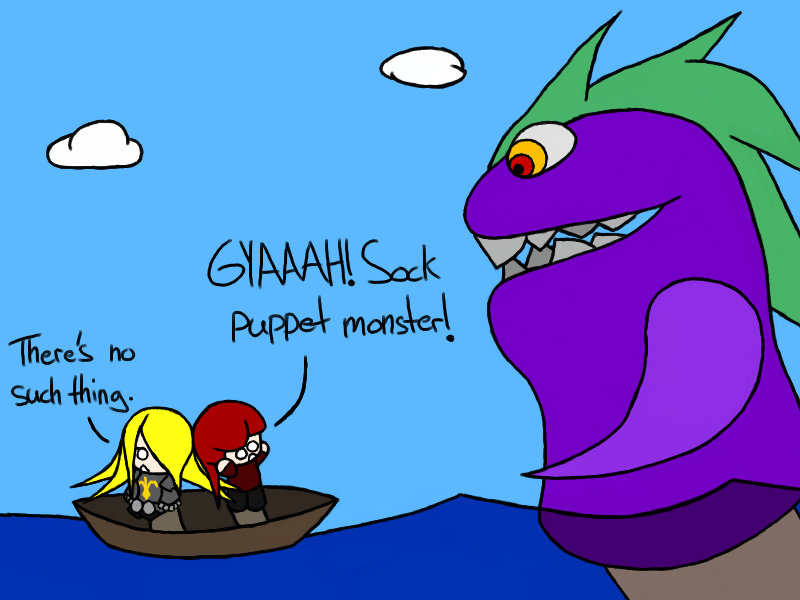 Personally, I never liked sock puppets, and being chased by this one would not be fun. It also sort of looks like Barney, and I never liked Barney. 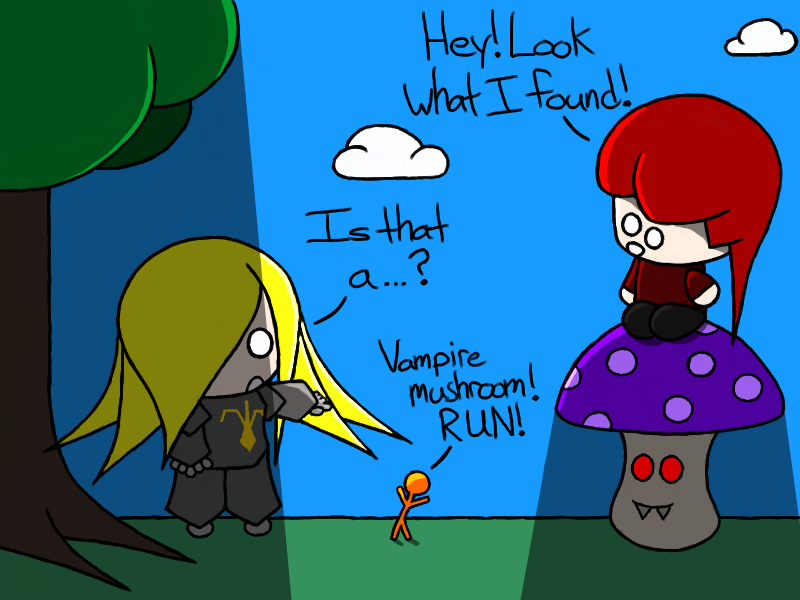 To my great disappointment, I learned that there are no such things as vampire mushrooms. You’d think that with killer venus fly traps and other weird plants there’d be room for vampire mushrooms, but nope. A bit of my innocence was lost today.